Welcome to the Django Girls Tutorial! We are happy to see you here :) In this tutorial, we will take you on a journey under the hood of web technologies, offering you a glimpse of all the bits and pieces that need to come together to make the web work as we know it. Have you ever felt that the world is more and more about technology to which you cannot (yet) relate? Have you ever wondered how to create a website but have never had enough motivation to start? Have you ever thought that the software world is too complicated for you to even try doing something on your own? Well, we have good news for you! Programming is not as hard as it seems and we want to show you how fun it can be. This tutorial will not magically turn you into a programmer. If you want to be good at it, you need months or even years of learning and practice. But we want to show you that programming or creating websites is not as complicated as it seems. We will try to explain different bits and pieces as well as we can, so you will not feel intimidated by technology. We hope that we&apos;ll be able to make you love technology as much as we do! Once you&apos;ve finished the tutorial, you will have a simple, working web application: your own blog. We will show you how to put it online, so others will see your work! 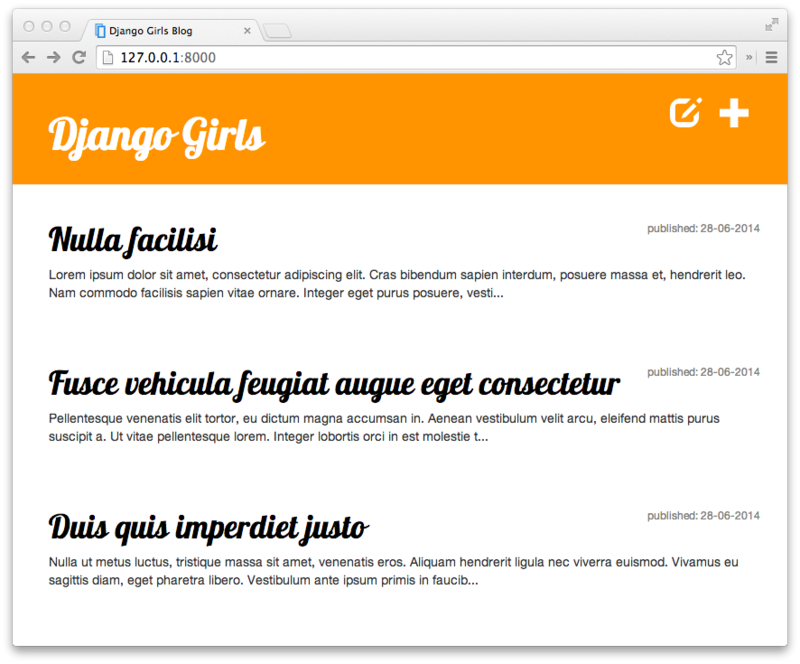 This tutorial is maintained by BHP based on the original DjangoGirls tutorial. If you find any mistakes or want to update the tutorial please follow the contributing guidelines or talk to one of the mentors.